High-speed digital storage with versatile connectivity. 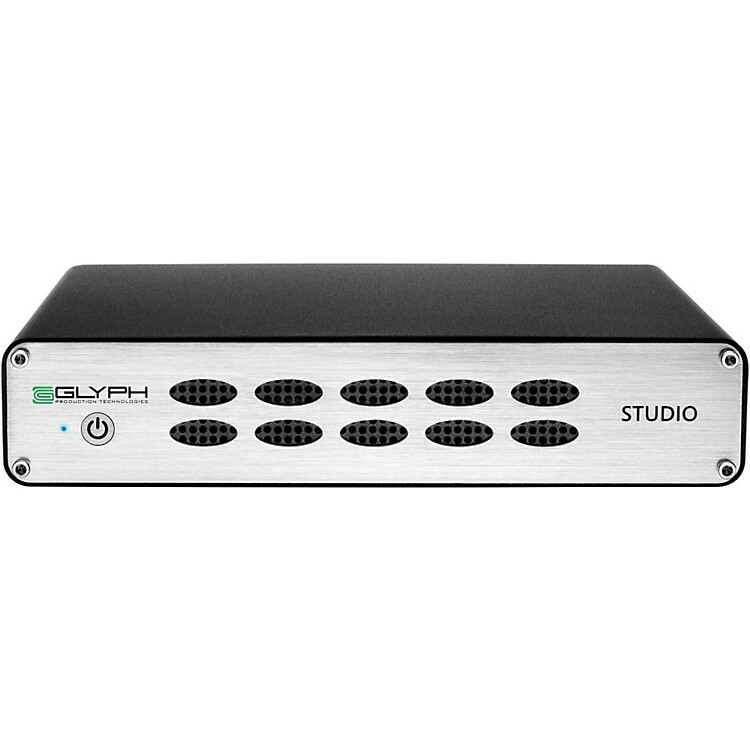 Glyph offers some of the fastest and most reliable digital storage media available, and they continue that tradition with the Studio line of hard drives. Studio is a production-grade external hard drive packed with best-in-class technology. The result is a high-performance, highly reliable external storage device capable of supporting the most demanding workflows. With USB 3.0, FireWire, and eSATA connections at speeds up to 360MB/s, Studio offers ultrafast delivery of your most demanding projects. Other features like a pro-grade internal power supply with auto-sensing power and soft-touch power switch, quiet and intelligent fan cooling, disk health monitoring and more, Glyph Studio is ready to perform with many major content creation platforms including AVID Media Composer, Pro Tools, Logic, Nuendo, Cubase, Digital Performer, Adobe CC, and more. There's a reason Glyph is a trusted source of digital media storage in professional and project studios around the world. Professional storage for professional projects. Order today!